Life isn't easy in the sprawling, massive Kakuma refugee camp in rural northwestern Kenya. The residents of this 180,000-person de facto city typically worry more about securing their next meal and dealing with other daily challenges than picking up a book. The dire lack of education in Kakuma is not uncommon in refugee camps. More than 20,000 children living in conflict and emergency situations are out of school. In areas of protracted conflict, the average length of displacement is reaching 20 years and most children in refugee camps are going for several years without any education. Yet amid hardship, a small but growing and innovative schooling initiative has blossomed in this Kenyan refugee camp, giving residents an opportunity at something many thought unattainable in the East African desert - a higher education. 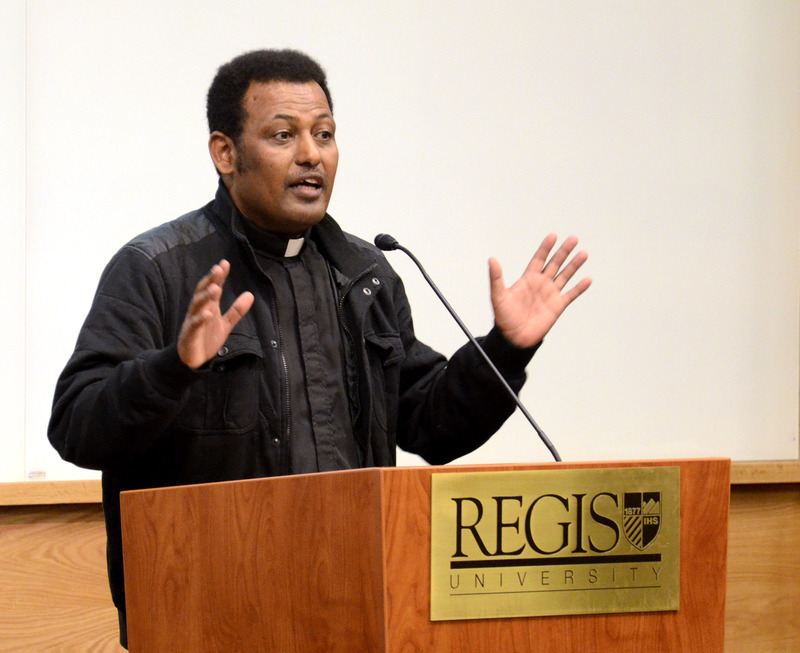 Making higher education accessible to refugees and displaced people should be a global priority - it is a strategic goal of Jesuit Refugee Service (JRS). Since 2010, JRS has worked with Jesuit Commons: Higher Education at the Margins (JC:HEM) to bring online courses to refugees at Kakuma and other refugee camps in Africa and Asia, and to urban refugees in Amman, Jordan. Our experience has shown us that the people living in the camps want a brighter future, and given the chance to learn and pursue an education, they will. They are intelligent, talented and dedicated. They are hungry, but not for food really - for knowledge. All that's missing is opportunity. And our aim is to propel young refugees to a fuller life outside the camps. One crucial issue is the need for official courses and paper work to show learning. An online diploma program taught by professors from Jesuit universities throughout the United States is currently educating some of the most marginalised young people and providing them with an important recognition of their studies. After three years, successful graduates are awarded a diploma from Regis University in Denver, Colorado - for many, this is a life changing document. The second is the Community Service Learning Track, which offers practical instruction in areas such as health and counseling. These courses are developed in response to specific needs within the community as identified by its residents. I have seen that in refugee camps like Kakuma, where some residents have lived their entire lives, the opportunity of education is also critical to boosting self-esteem. Education helps these brothers and sisters reacquire something many have lost - their dignity and their hope. That's not to say that significant challenges to educating residents of refugee camps don't exist. In Kenya, we need to attract more women into our programs, an obstacle made more difficult by cultural factors such as the fact that Somali girls aren't allowed to proceed beyond primary school. Movement within the camps often isn't easy. And securing necessary funding and resources is an ongoing struggle. Education in conflict and disaster areas around the world receives a mere 1% of all humanitarian funding. This massive gap in financing is contributing to a major crisis for refugee children where entire generations are going without education and are at serious risk of being lost. I'm glad to see that campaigners and NGOs are coming together to call for action in this area and demand a new platform to fund and coordinate education in emergencies. Together the international community can find better and innovative ways to address this important issue. Access to schools and quality education is an urgent priority for all refugee children and youth. JRS advocates for the basic right to emergency and long-term educational opportunities and urges better schooling at all levels - pre-school, primary, secondary, and tertiary - for refugee children and youth. And at the core, securing educational opportunities for refugees is really about restoring humanity. We are all human beings. We share that common humanity - whether we are in America, Africa, Asia or anywhere. As Nelson Mandela said, the worst enemy of humanity is ignorance and fear, and the best weapon to fight this is education. If you educate a person you are empowering that person. Fr. Endashaw Debrework S.J., is Jesuit Refugee Service Eastern Africa Regional Director, based in Nairobi, Kenya. He has worked to foster and expand education programs at Kakuma and other refugee camps in the region. Learn more about JRS in Eastern Africa. Support the work of JRS in Eastern Africa by clicking here and making a secure online donation today.